Wild Appetites Presents Akara and Anansi, Brooklyn Children’s Museum, 145 Brooklyn Ave., 3-3:30 & 4-4:30PM, $11, children under 12 FREE. Meet Chef Key of Wild Appetites for a delicious storytelling of Anansi and the Pot of Beans. Also enjoy a tasting of Akara, fried Nigerian black-eyed pea fritters. All ages. Dr. Maulana Karenga’s 52nd Annual Kwanzaa Address, JHS 258, 141 Macon St., 4-8PM (doors @ 3), $15/adults, $10/seniors & kids under 12 FREE. The NY Chapter of the National Association of Kawaida Organizations & the International African Arts Festival host Dr. Karenga, with this year’s Founder’s Message: “Reimagining and Remaking the World: A Kwanzaa Commitment to An Inclusive Good.” Featuring the Donald Smith Quartet & Asase Yaa African-American Dance Theater with a Kwanzaa vendor marketplace and catering by Neighborhood Bakery. “Out of Africa”- A Kwanzaa Celebration, 276 Fenimore St., 3-9PM, FREE. Learn about the history, customs and traditions of Kwanzaa. There will be arts and crafts, dancers, poets, a fashion show, drummers, African and Caribbean food, raffle prizes, face painting, an African marketplace and more. This is a family-friendly, cultural event hosted by the Higher Education Committee. Kwanzaa Celebration: Regeneration Night, The Apollo Theater, 253 W. 125th St., Manhattan 2PM & 7:30PM, $25. 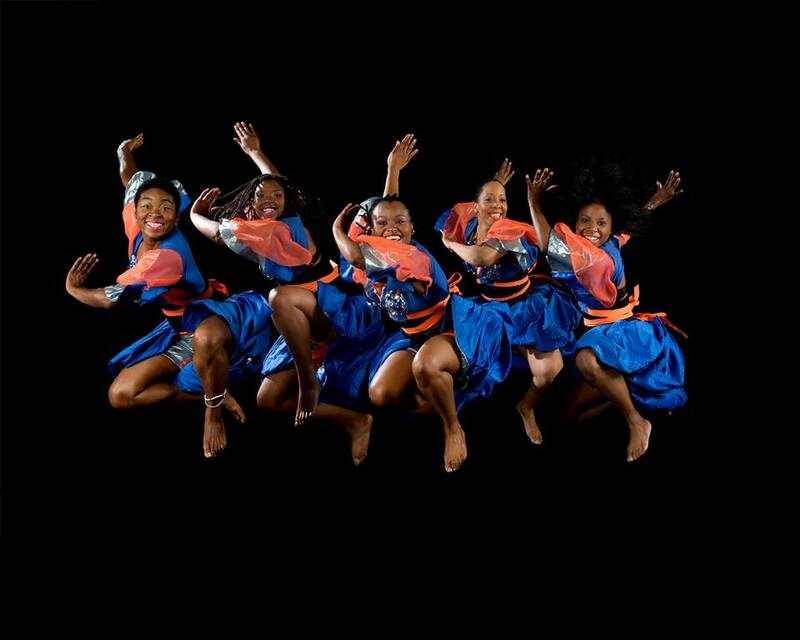 The Apollo Theater’s annual Kwanzaa event features Abdel Salaam’s Forces of Nature Dance Theatre. 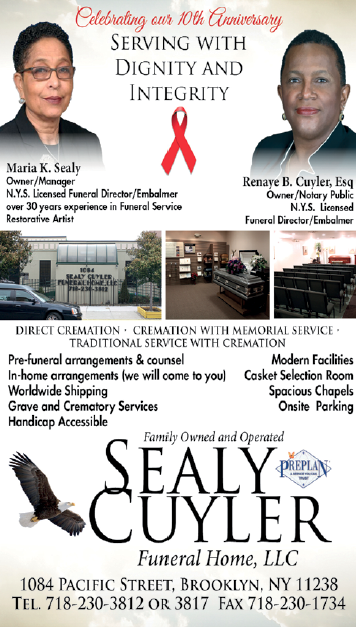 With Special Guest Sonia Sanchez and other guest performances. The Apollo’s celebration is a joyful evening of dance and music honoring the Kwanzaa principles of family, community and culture. The Kwanzaa Altar, ColorLab: Kwanzaa and Holding History, Brooklyn Children’s Museum, 145 Brooklyn Ave., various times from 11:30AM-4:30PM, $11, children under 12 FREE. Join an interactive presentation on Kwanzaa symbols and principles and share dried fruits from the altar, from 11:30-noon. From noon-1PM visit Collections Central. Interact with African Diaspora artifacts and learn about objects important to the celebration. 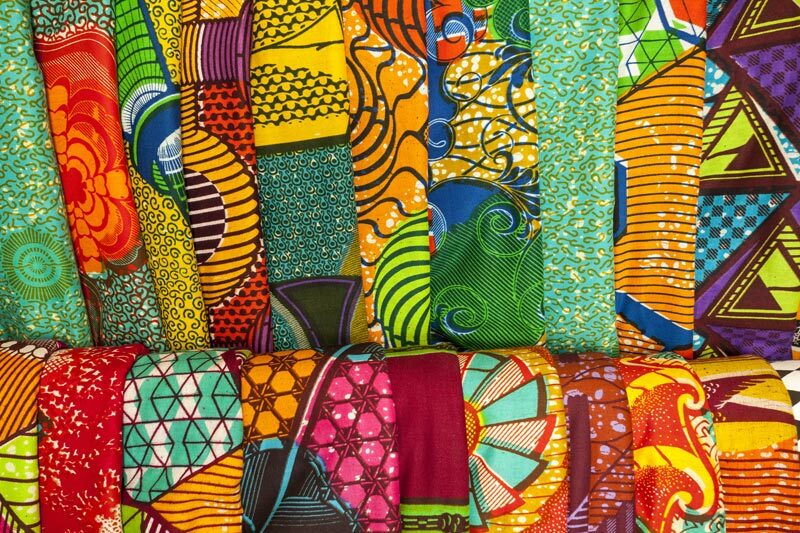 Explore Kwanzaa through art and music. Make an mbira, weave with colorful strips of cloth and build a BCM community altar (11AM-4:30PM thru the day). 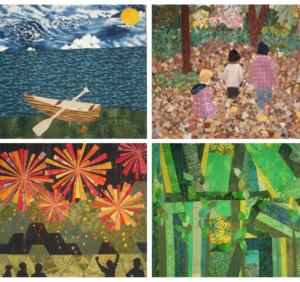 Quilt Show and Paper Quilt Workshop, Lefferts Historic House, Prospect Park, 452 Flatbush Ave., 12-4PM, FREE ($3 suggested donation) Join Prospect Park Alliance and see the wonderful work of The Brooklyn Quilters’ Guild while their small quilt exhibit is on display. This year features the artists’ personal interpretations of Prospect Park. The original creations range from traditional to contemporary, to mixed-media fiber art. From 1-3PM try your hand at making your own paper quilt collage or add to our community paper patchwork quilt! Countdown to 2019, Prospect Park at Grand Army Plaza, 10:30PM-12:30AM, FREE. The Office of Brooklyn Borough President Eric Adams and One Brooklyn Fund, Inc. once again hosts Brooklyn’s countdown to the New Year. Bring the family to see the fireworks and live entertainment. Dress warm and bring your warm spirit to sing, dance and celebrate with your neighbors. 3 Women & Their Music: NYE Jazz Vespers, Emmanuel Baptist Church, 279 Lafayette Ave., 6-7:30PM, FREE. Stop by before your New Year’s Eve celebrating to enjoy some live music by three talented women. Madame Pat Tandy sings the blues, Patsy Grant sings jazz and Stephanie Bates sings R&B. Sea Lion Training Sessions, Prospect Park Zoo, 450 Flatbush Ave., 11:30AM, 2PM & 4PM (zoo opens 10-4:30, last entry @ 4), sessions w/adm. : adults $9.95/children 3-12, $6.95/seniors 65 & up, $7.95/children 2 & under FREE. See the feeding & training of the full-of-personality sea lions and enjoy the many other animals, attractions and learning opportunities at the zoo, including the Discovery Center and the Hall of Animals. Sledding in the Park, Lincoln Terrace Park, between Buffalo and Rochester Avenues, adjacent to the Eastern Parkway service road. 11AM-7PM are the generally suggested open times for city parks. FREE. 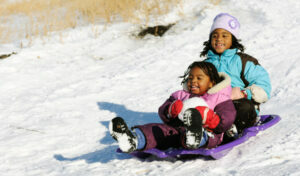 Take the kids out for a memorable winter experience. Listed as one of the five best sledding spots in Brooklyn, Lincoln Terrace Park in Crown Heights is a less-crowded fun time. Dress warm! Happy Zoo Year, Prospect Park Zoo, 450 Flatbush Ave., 11AM-3PM, adults $9.95/children 3-12, $6.95/seniors 65 & up, $7.95/children 2 & under FREE. Explore the wintry outdoor trail and be toasty-warm while discovering who at the zoo loves the cold and who doesn’t. The Discovery Center has fun for animal lovers of all ages, with special sensory stations for toddlers. The Conservation Station in the Hall of Animals offers experiments (why ice melts and its effect on the environment), bat biofacts (about bat hibernation) and migration (hibernation, adaptation games). Tix online or on the line. Previous articleOn Education: Black Child Attending an Alabama School is Bullied to Death: Did Anybody at the School see McKenzie Nicole Adam? Next articleA Black Child is Racially Bullied to Death in an Alabama School: Did anybody there really SEE McKenzie Nicole Adam?